(Reuters) - China kept up a drumbeat of criticism of U.S. easy money policies on Tuesday, warning two days before a G20 world economic summit that Washington could destabilize the global economy and inflate asset bubbles. President Barack Obama acknowledged in Jakarta that the Group of 20 rich and developing nations "still have a lot of work to do" to ensure balanced global growth. Without giving names, he complained about countries that are intervening in currency markets to maintain a trade advantage. Later, he said Washington was not trying to contain China's economic growth. "We want China to succeed and prosper. It's good for the United States if China continues on the path of development," he told a press conference. The United States has long accused China of keeping the yuan artificially weak to benefit its exporters. But Chinese officials now say the Fed is weakening the dollar with a second round of quantitative easing, which is equal to printing money. German Chancellor Angela Merkel said she hoped to avoid a confrontation between China and the United States in Seoul, and warned against protectionism. But she dismissed U.S. calls for numerical limits for current account balances. 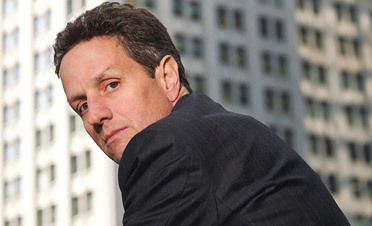 U.S. Treasury Secretary Timothy Geithner has already backed away from the proposal to set targets for current account gaps. Japanese Finance Minister Yoshihiko Noda said it was not likely the G20 would agree on any hard numbers. "It's more likely that countries will agree a common approach, and finance ministers from the member countries will debate the details later," he told reporters in Tokyo. Ma Delun, a deputy governor of the People's Bank of China, said he was concerned the Fed's spending spree may undermine efforts to balance out global growth. The Fed's program "may add risks to the global economic imbalance, put pressure on emerging markets to adjust their international balance of payments and could also stir the formation of asset bubbles," Ma said in Beijing. In the latest move by an emerging economy to brake inflows of "hot money," Taiwan decided to bar foreign investors from placing more than 30 percent of their funds in Taiwan in local government bonds and money-market products, reviving a curb scrapped in 1995. Leaders of the Group of 20 economies meet on Thursday and Friday, eager to show they have not lost the cooperative spirit forged during the depths of the financial crisis in 2008.